I am continuing with handmade gift week. 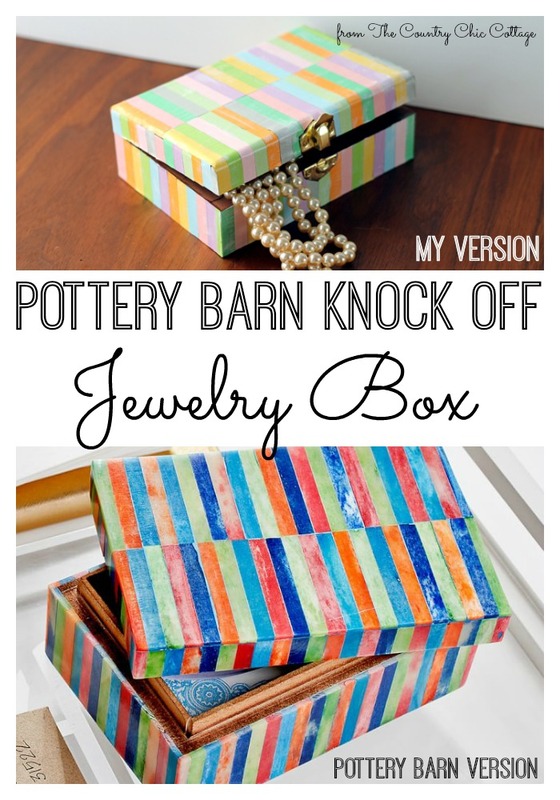 Today I am showing you how to make this Pottery Barn knock off jewelry box. This can be made for just a few dollars and will be a gorgeous gift for several people on your gift giving list. Change up the colors by ordering different quilling paper strips. Then read below to get the step by step instructions. I am a paid member of the Consumer Crafts design team and this one was originally posted over at Crafts Unleashed. You will also find affiliate links on this post where a portion of your purchase goes to support this site. 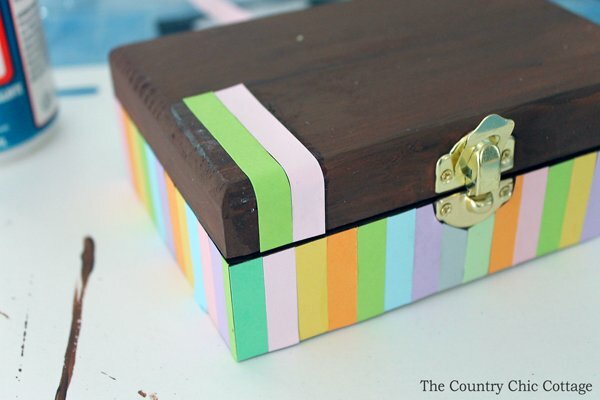 If you are curious, this one is based off of this Pottery Barn jewelry box. 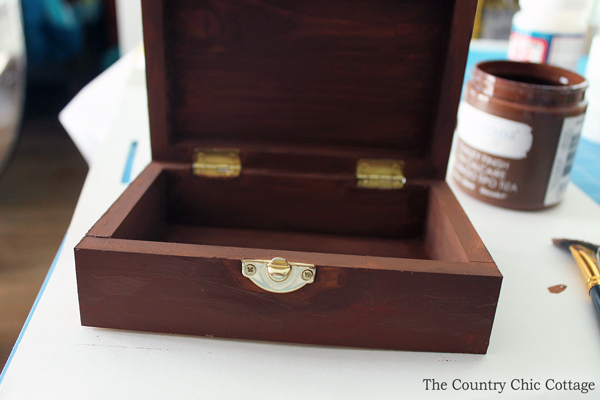 Start by painting the box inside and out with the brown craft paint. I love the chalky finish paint so that is what I grabbed for this project. Allow the box to dry completely. Start adding the quilling strips with the Mod Podge. I started on one side and left the excess to hang off. Come back with scissors and trim. On the top, I drew a pencil line down the center and added two different color strips on either side. Again, begin by placing them with the Mod Podge and letting the excess hang off. Trim with scissors after the strips are placed. 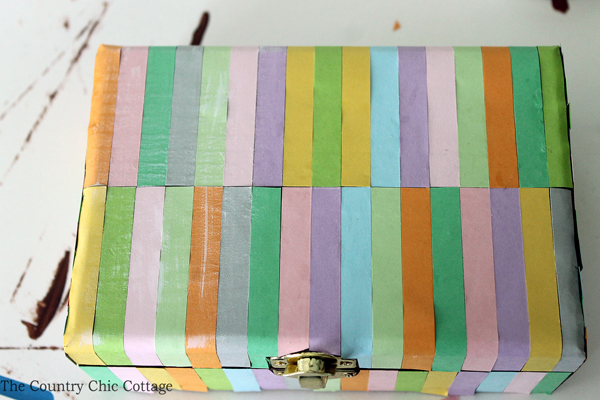 Once you have covered your entire box, allow the Mod Podge to dry completely. Then come in with some white craft paint and an extremely dry brush (it should just barely have any paint on it). Run that dry brush across the strips. The picture below has been brushed on the left and not on the right. 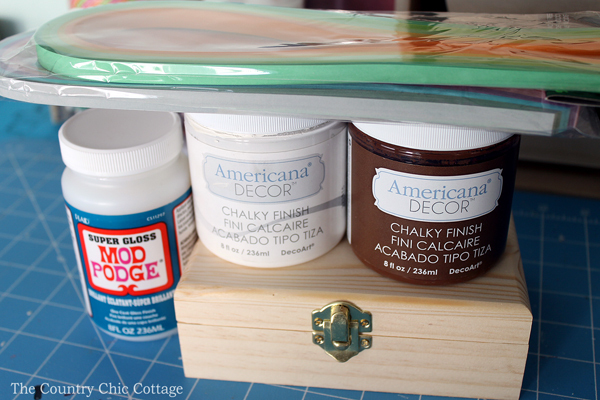 Allow that to dry completely then come back with 2 – 3 costs of super gloss Mod Podge over the entire surface. Allow to dry completely in between coats. This should make sure all of the small strips are secured down and protected. 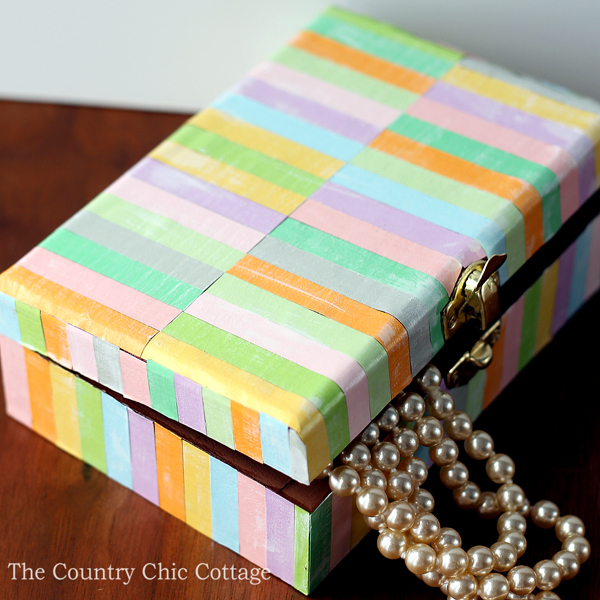 This Pottery Barn knock off jewelry box is a great handmade gift. 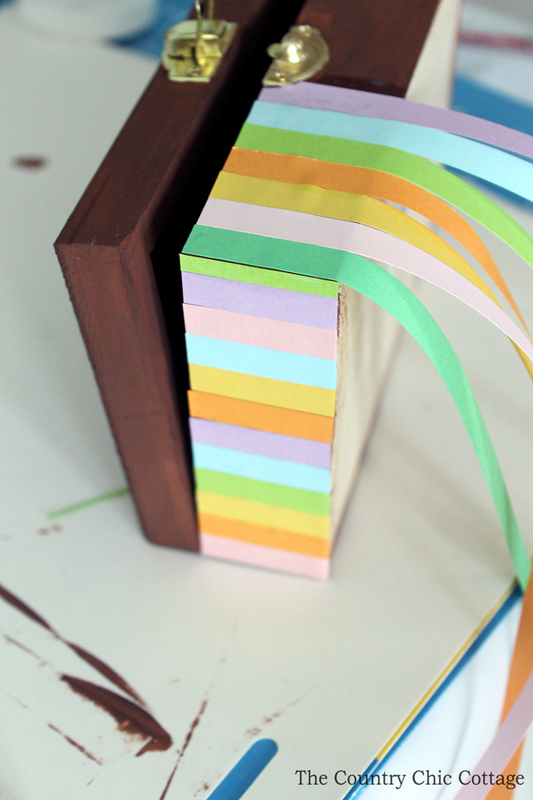 Grab your quilling strips and get started on this craft idea today. 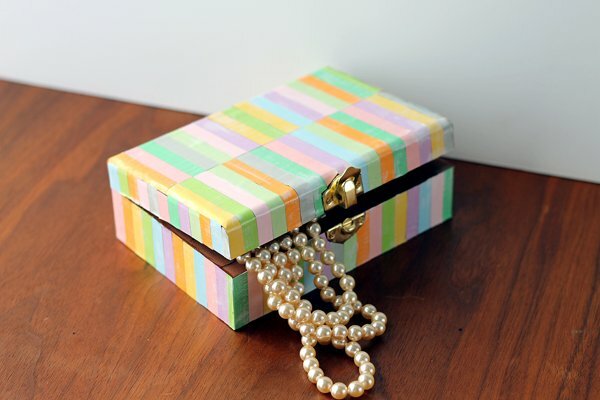 You can use this technique to makeover an existing jewelry box or one from the thrift store. Just add those quilling strips plus some paint and Mod Podge you have on hand. This will be one unforgettable handmade gift idea! Want other handmade gift ideas? Check our other posts from this week. 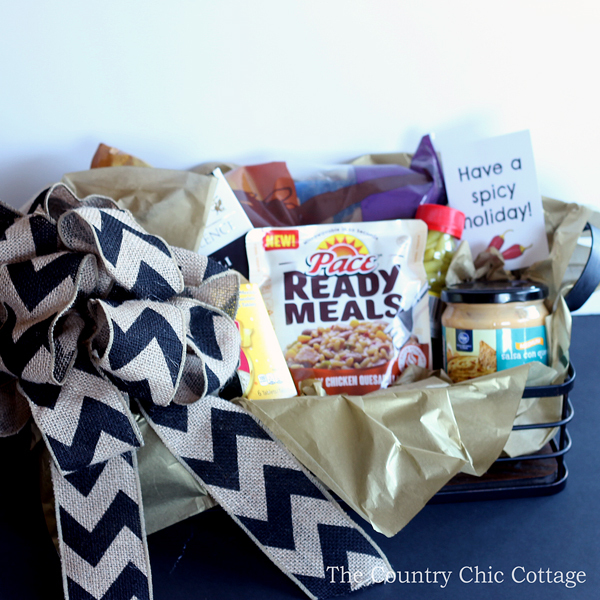 Try this spicy gift basket idea for the hard to buy for on your list. 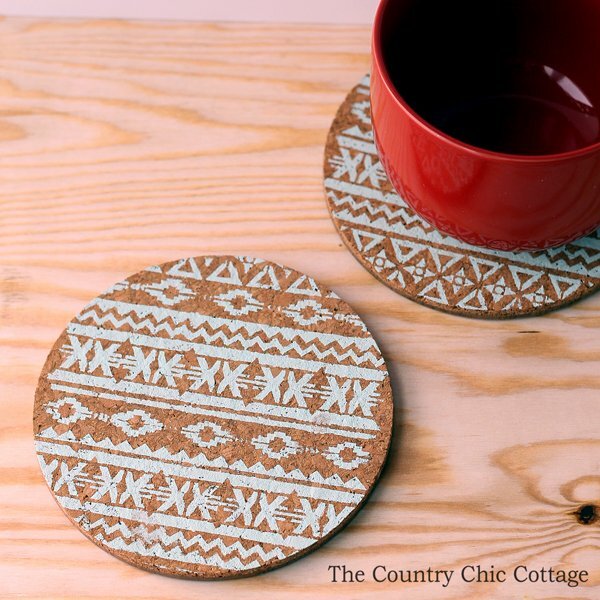 You can paint these stenciled trivets in just a few minutes for an amazing handmade gift.